What's the Real Origin of "OK"? 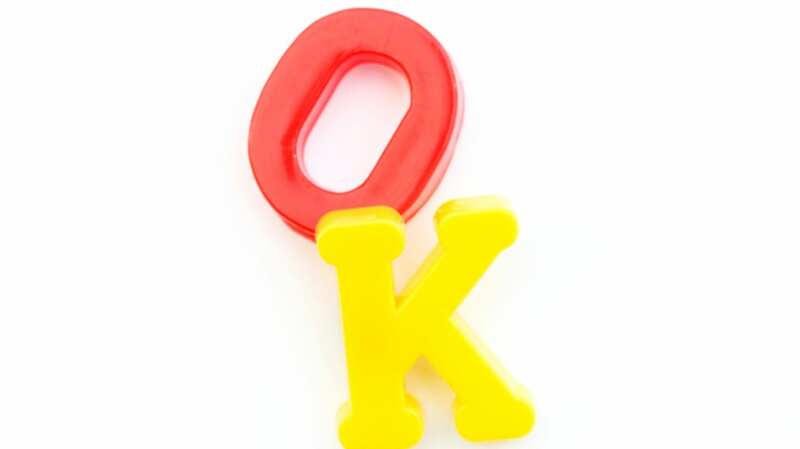 "OK" is the all-purpose American expression that became an all-purpose English expression that became an all-purpose expression in dozens of other languages. It can be an enthusiastic cheer (A parking spot! OK! ), an unenthusiastic "meh" (How was the movie? It was…OK. ), a way to draw attention to a topic shift (OK. Here's the next thing we need to do), or a number of other really useful things. It's amazing that we ever got along without it at all. But we did. Until 1839. There may be more stories about the origin of "OK" than there are uses for it: it comes from the Haitian port "Aux Cayes," from Louisiana French au quai, from a Puerto Rican rum labeled "Aux Quais," from German alles korrekt or Ober-Kommando, from Chocktaw okeh, from Scots och aye, from Wolof waw kay, from Greek olla kalla, from Latin omnes korrecta. Other stories attribute it to bakers stamping their initials on biscuits, or shipbuilders marking wood for "outer keel," or Civil War soldiers carrying signs for "zero killed." The truth about OK, as Allan Metcalf, the author of OK: The Improbable Story of America's Greatest Word, puts it, is that it was "born as a lame joke perpetrated by a newspaper editor in 1839." This is not just Metcalf's opinion or a half remembered story he once heard, as most OK stories are. His book is based in the thorough scholarship of Allen Walker Read, a Columbia professor who for years scoured historical sources for evidence about OK, and published his findings in a series of journal articles in 1963 to 1964. The "Chairman of the Committee on Charity Lecture Bells," is one of the deputation, and perhaps if he should return to Boston, via Providence, he of the Journal, and his train-band, would have his "contribution box," et ceteras, o.k.—all correct—and cause the corks to fly, like sparks, upward. It wasn't as strange as it might seem for the author to coin OK as an abbreviation for "all correct." There was a fashion then for playful abbreviations like i.s.b.d (it shall be done), r.t.b.s (remains to be seen), and s.p. (small potatoes). They were the early ancestors of OMG, LOL, and tl;dr. A twist on the trend was to base the abbreviations on alternate spellings or misspellings, so "no go" was k.g. (know go) and "all right" was o.w. (oll write). So it wasn't so surprising for someone come up with o.k. for oll korrect. What is surprising is that it ended up sticking around for so long while the other abbreviations faded away. OK got lucky by hitting the contentious presidential election jackpot. During the 1840 election the "oll korrect" OK merged with Martin van Buren's nickname, Old Kinderhook, when some van Buren supporters formed the O.K. Club. After the club got into a few tussles with Harrison supporters, OK got mixed up with slandering and sloganeering. It meant out of kash, out of karacter, orful katastrophe, orfully confused, all kwarrelling or any other apt phrase a pundit could come up with. It also got mixed up with the popular pastime of making fun of van Buren's predecessor, Andrew Jackson, for his poor spelling. One paper published a half-serious claim that OK originated with Jackson using it as a mark for "all correct" (ole kurrek) on papers he had inspected. OK was the "misunderestimated," "refudiated," and "binders full of women" of its day, and it may have ended up with the same transitory fate if not for the fact that at the very same time, the telegraph was coming into use, and OK was there, a handy abbreviation, ready to be of service. By the 1870s it had become the standard way for telegraph operators to acknowledge receiving a transmission, and it was well on its way to becoming the greatest American word. But, as Metcalf says, its ultimate success may have depended on "the almost universal amnesia about the true origins of OK that took place early in the twentieth century. With the source of OK forgotten, each ethnic group and tribe could claim the honor of having ushered it into being from an expression in their native language." By forgetting where OK came from, we made it belong to us all. This Big Question came from Emerson Whitney, who inquired about the history of OK via Twitter.